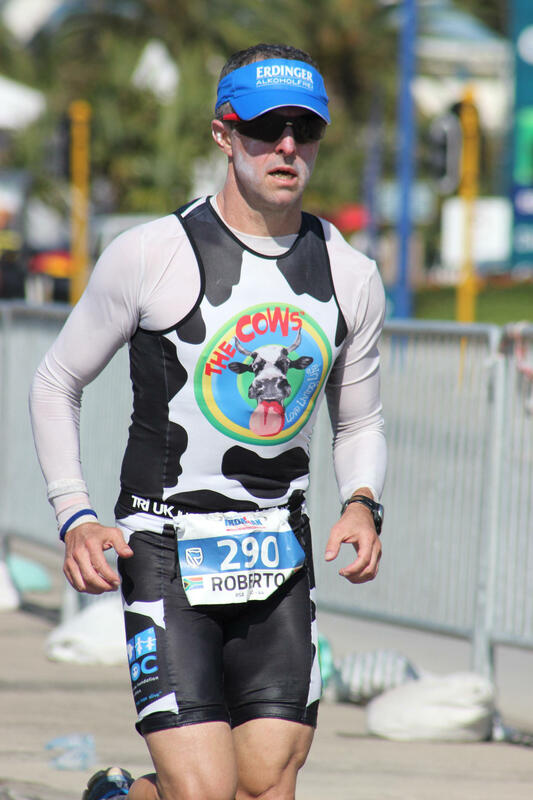 Durban – When 4500 athletes from 90 countries around the world descend on Port Elizabeth this weekend for the Ironman 70.3 World Championships there will be a number of men and women racing in the distinctive kit of The Cows to raise money and awareness for the CHOC Childhood Cancer Foundation. This race is the culmination of over 100 qualifying events with more than 185,000 athletes competing to qualify for the world champs in Port Elizabeth and is the first Ironman 70.3 World Championship to be held on the African continent. 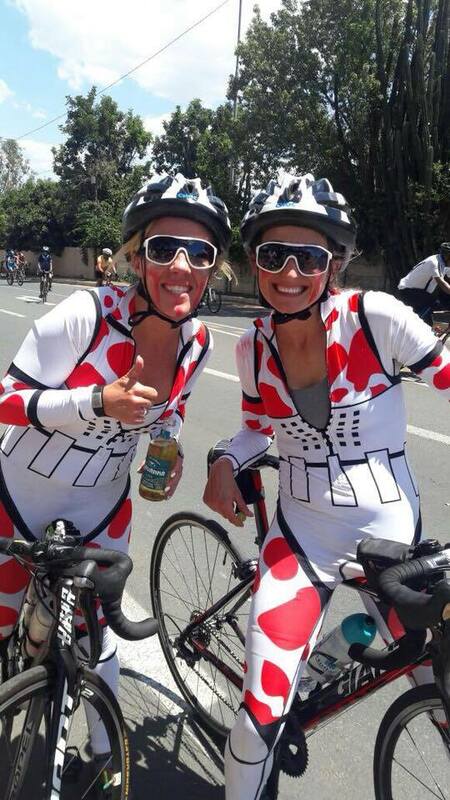 Two of the Apocalypse Cows, Jayde Fouche and Roxy Coetzee-Turner, together with Capetonian Cowgirl, Kelly Van Der Toorn, will be taking part in the women’s event on Saturday the 1st September. Apocalypse Cow, Roberto Riccardi, will take part in the men’s event on Sunday the 2nd of September. 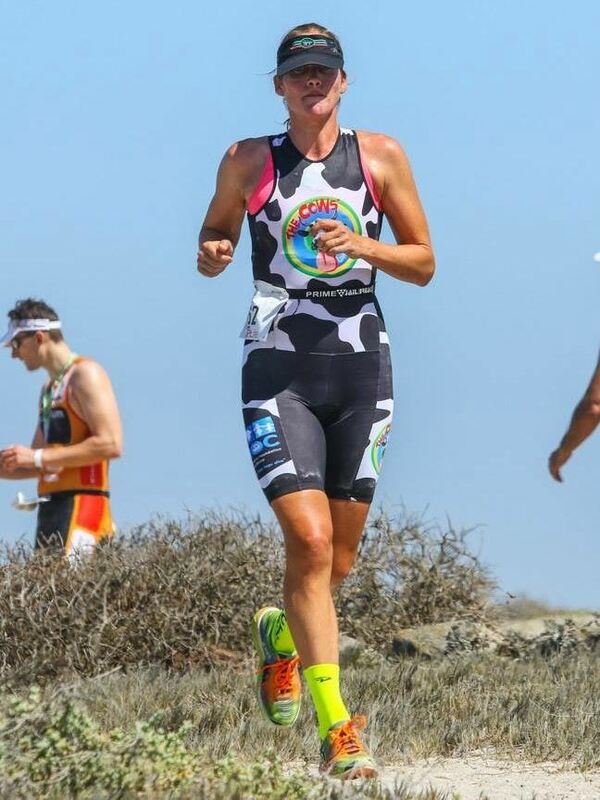 Each of our Cows qualified earlier in the year and received one of the coveted World Championship slots placing them in the top 2% of 70.3 IRONMAN athletes in the world. The world championship race comprising a 1.9km swim, a 90km bike and a 21.1k run. "We wish our Cow Ambassadors good luck for their races and to give it horns!" said Daisy, the national convener of The Cows.